Nickel fell to a 13-year low of $7,725 a tonne ($3.50 a pound) in February last year; then rallied to more than $11,700 by mid-November only to end the year barely above $10,000. This year the rollercoaster continued as news from top suppliers Indonesia and Philippines pull the metal in different directions. After a 10% rally in February, the price of nickel has been hammered down this week losing 7% since Monday to end Wednesday's session at $10,200. 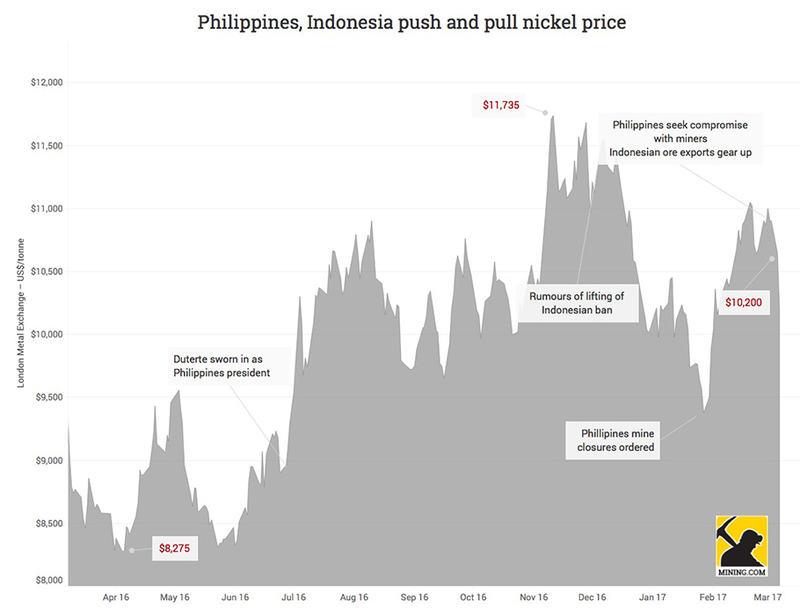 Nickel, mainly used as an anti-corrosive in steel alloys, rallied in 2016 on the back of a clampdown on mines in the Philippines which took over as the main supplier to China following an ore export ban in Indonesia in place since 2014. 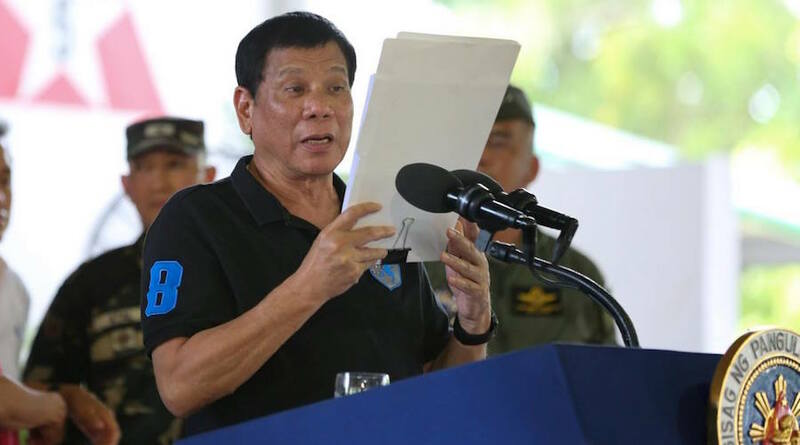 The weakness this weak is being blamed on news that the Philippines government may have another look at its mining sector environmental review that led to the closure of over half the country's production capacity. The market was also rocked by reports that Indonesia's partial lifting of the export ban announced in January may result in higher volumes of ore hitting the market; and sooner than previously thought. Indonesian miner PT Aneka Tambang said in February it has 5 million tonnes stockpiled for immediate shipping and Bloomberg reported Wednesday the state controlled company is ready to load the first cargoes destined for China. Metalbulletin quotes from a broker note saying that Indonesian miners "with smelters or those that co-operate with smelter owners will be allowed to ship as much nickel ore and bauxite as the input capacity of the smelters". In another sign that the Indonesian nickel industry is gearing up again comes from Hong Kong-listed China Hanking Holdings which told shareholders on Wednesday it will restart a low-grade nickel mine it closed in 2014 to supply domestic smelters.